This Is It Entertainment is always striving to create the best experience for our clients and now we’re able to provide a completely immersive experience with our 3D event designer service. Our clients are seeking outside the box, unique and creative ideas for their events and with our 3D event designer we are able to ensure efficiency and realize time savings for everyone. 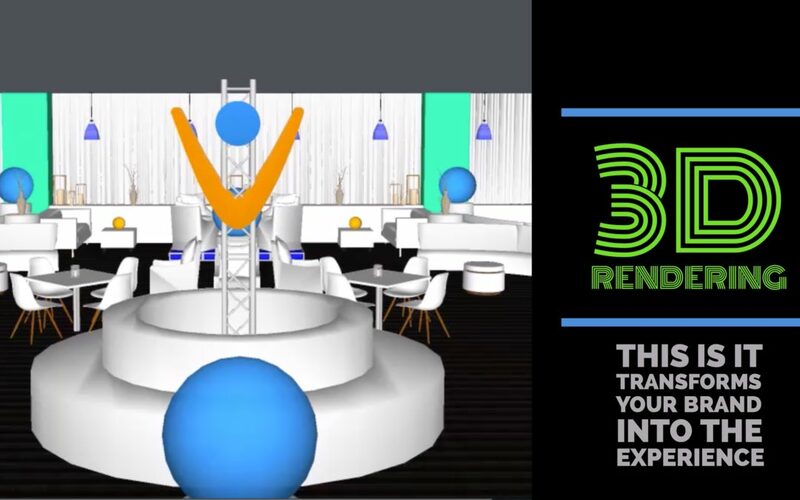 With over 20 years of combined event design experience, we utilize our planning skills, our venue experience and logistics know-how to build 3D renderings that combine all of our expertise and deliver a seamless event to our clients. Through our 3D event designer service we are able to bring concepts and ideas to life and allow you to do a virtual walk through of your event. This gives you a tangible flow of what your guests will experience and how they will connect and engage at your event. At the design phase, we are able to ensure that all of the initial goals for your event are being addressed through the visual event design that our team creates. Most importantly, we can ensure that all of the key branding objectives are met and opportunities are optimized. For example, conceptually it may seem that you have maximized all of your branding opportunities, but without that visual it’s easy to miss key moments where customers will engage with your brand, even at a subtle level through lighting or audio/visual components. Having a 3D design can help realize better ways to incorporate your logo and branding during the early phase of your event planning. A 3D event design allows for much better cohesion amongst the team saving you time and money in the long run. Day of event changes are sometimes unavoidable, but a 3D event design creates less room for error, minimizing those last minute change orders that can be costly. It also allows for team strategy to be better planned in advance. Having that customer flow in mind, you are better able to strategically plan for where your staff and team members will need to be placed throughout the event. A reception, gala or charity event is a great example of where 3D event design can be used to create a memorable design and a plan that can be executed at the most micro level. With so many moving parts to this type of event, a 3D design can help define room decor, staging, set-up and ensure the end result is exactly as all parties anticipate. Trade shows are a significant investment not only of financial resources, but time resources as well in the planning, building and post show work. Utilizing 3D renderings of your trade show space is a great way to make sure that you are optimizing all your resources. Ensure space is defined ahead of time, logistically sound and planned for, and creates the “WOW” factor that you need to make your company and brand stand apart from other displays. Multiple speakers and stage set-ups, audio, visual, videography, photography, banquets and entertainment are all various facets of planning a meeting or a conference. In addition to single room layouts, having a 3D event design of your overall space is helpful to understand various schedules for attendees and making sure that their experience at the conference/meeting is not hindered by awkward room changes or sessions in a completely different space. For example, meetings on different floors that are not convenient to get to and meals served in spaces not easily located by your conference guests. This is especially true in large convention spaces where pre-planning these layouts through 3D design can help save staff resources during the event by allowing for less staff directing traffic. In addition to overall layout, 3D event diagrams can ensure every possible element of branding or your meeting theme is integrated at the best level of exposure. From signage, video, lighting to the colors of elements intertwined in to the decor and room aesthetics. 3D renderings can be a critical tool in the planning of production services to ensure each piece fits in to the overall schematic and appears the way it is intended. Having an initial visual provides less room for errors, especially on the day of the event. After the completion of your event a huge benefit of having a 3D rendering is the ability to go back and review the layout and determine improvements for your next event. Being able to have that as a reference can allow you to quickly determine areas of your event that may not have worked due to unforeseen reasons. Use your rendering to improve your event experience and incorporate these in to future meetings or events. 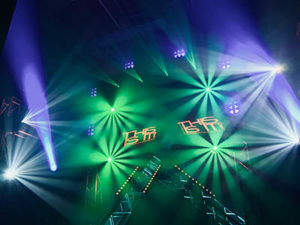 This Is It Entertainment has been creating un-duplicated events for customers for over 20 years. Each project is approached from a fresh perspective by a team of professionals that is an expert in their own field and our goal is to produce ideas that are without limits and pushing to the next level of what’s possible. As part of our effort to create beyond the imagination, we offer 3D design services for certain events. If this is something you’re interested in message us so we can learn more! Let us know if you’ve used any 3D design service and what your experience has been in the comments below.